It is a basically a massive triangular wedge, which provides over five-hundred services to your body. Yes, that’s 500 or more individual functions all of which help to maintain your health. Both the weight of your liver, its size and its position in your body say a lot about its complexity and importance. Weighing in at roughly (within about 250g of) 1.5 kg, it is situated near to your centre and is your largest internal organ and gland. If details of every liver service are required, you should consult a library or academic database. You should really only do those if you intend to read for hours!! Here, an overview of some key functions will suffice, as the intention is to illustrate the liver’s importance to your health. This includes the removing harmful agents from blood; removing damaged blood cells; performing important role in blood pressure regulation. Metabolising food components: Detailed diagrams of the liver’s metabolic pathways look like public transport maps for fictional hyper-cities! Here is a summary: Carbohydrate/glucose: Put simply, the liver takes up and stores glucose from carbohydrates then uses it to control blood sugar levels. Proteins: Consumed protein is metabolised by the liver, which also synthesizes proteins which are used by the body. Fats: You know how washing-up liquid breaks down fats? Well, the liver does the same thing, using bile salts. This makes it possible for the body to use the fat as required. Bile is an essential part of the digestive process, being associated with fat breakdown, cholesterol management and the body’s absorption of important vitamins. 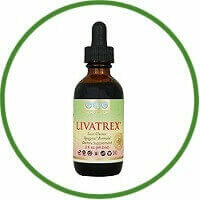 Detoxification: The liver provides an intricate and vital process which removes harmful substances from your body. The above overview already encapsulates a huge number of the liver’s processes and there are many more besides. As you can probably appreciate, if the liver starts to fail in any of its functions, the health consequences can be severe and Detox Liver is needed. When we talk about detoxification in relation to the liver, we are referring to one of two processes of Detox Liver. It is important to bear in mind which one you’re focusing on when searching for information. 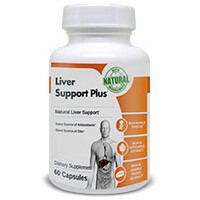 The liver protects your body from poisoning by processing potentially harmful substances. It filters large toxins from the blood and removes them from the body using bile. Another procedure breaks down chemical toxins using a series of complex chemical reactions. Using these two processes, an incredible number of substances can be neutralised and removed. Under certain conditions, it is possible for the liver to become overloaded with toxins and damaged as a result and Detox Liver is needed. Basic examples of this kind of toxicity are overdose and accumulation. Overdose-type toxicity can occur when too much of a substance enters the body in a short time for the liver to cope with. Accumulation-type toxicity results from the liver’s normal body-cleaning systems being impaired by bad diet and overdose toxicity, or the build-up of chemicals which the liver is incapable of removing. Both of these can cause knock-on effects for many of the liver’s vital functions and impair its future ability to do many things, including cleansing the body. Taking personal action to Detox Liver means ensuring that it is receiving the support that it needs to function normally. Think for a moment about this planet. It has an atmosphere with air rich in oxygen, contains loads of water and many parts are covered in soil, in which food can grow. Now think about what is happening to it… Don’t worry; this isn’t an ‘environmental high-horse’ lecture! This is about protecting you. You see, whatever you think about things like carbon emissions and climate change, there is absolutely no doubt that the environment which feeds and airs us is becoming rife with potentially harmful pollutants. You may not be exposed to all of these, all of the time, but there is a fair chance your body will receive at least two from the second list in a normal day. In addition to the above, remember that the liver has to deal with naturally occurring chemicals in food as part of the metabolism process. It’s one heck of a busy place and it needs your help to keep it working. Detox Liver | Situation Normal: How the Liver can Detoxify your Body? We’re going to take an example of toxin intake by the body and describe how the liver processes each of them. This is from the list of controllable threats, but provides a good clear example of the sort of procedure used by the liver. Imagine you’ve just had a beer or a glass of wine. Maybe you are having one! Obviously there’s some alcohol in there and, depending on how tolerant you are, you will probably experience a certain amount of pleasure from drinking it. While that pleasure lasts, the alcohol is in your bloodstream, affecting your mood, perception and motor functions. But it won’t stay there for long. On average it takes about one hour for a human body to process a 10 gram unit of alcohol and responsibility for this falls to your liver. You’re probably getting used to the liver being a tricky little blighter. Well, up its sleeve it has two different ways of getting rid of alcohol. First and most-used is the metabolic process involving enzymes known as ADH and ALDH. The ADH turns the alcohol into acetaldehyde, which is then attacked by the ADLH. By the time the whole thing is over, all that’s left of your alcohol is water, and carbon dioxide. If too much alcohol exists for this process to keep up, a second procedure kicks in which tries to mop up the rest using another bunch of enzymes. This is all done by the liver. Once the liver has done its job, broken down or secreted toxins exit the body via sweat, faces and urine. If we remain with the example of alcohol, we can see an example of how the liver responds to prolonged exposure to toxins. Variations on this example occur with countless different substances, either through repeated binge-like consumption, or through prolonged intake of chemicals which the liver can’t break down quickly. Someone who consumes too much alcohol may find that their liver copes ok for some time. This is thanks to the liver’s capability for self-repair and self Detox Liver. However, a typical scenario of deterioration sees a sudden, surprising decrease in liver function. This liver disease often comes along with a number of other conditions, which make altogether an unpleasant set of symptoms. Here are some examples of conditions and symptoms associated with toxic liver damage when no Detox Liver occurs: Advanced fatty liver disease: Although in early stages this often has no symptoms, as it escalates it can cause swelling of the belly, itching on the skin, vomiting, and vomiting blood, yellowing of the skin and eyes and mental confusion, amongst other things. Liver cirrhosis: Fatty liver can lead to cirrhosis. Again, at the start of this problem, many people show few or no symptoms. As it goes on it causes multiple problems, including pain in the liver, higher susceptibility to infections, fluid retention in the legs and feet and in the abdomen. You’re probably aware that liver disease can ultimately be lethal. The above is about alcohol, but equally unpleasant results can occur from a vast range of toxins. So, the important point here is that we need to do everything we can to ensure liver health & Detox Liver regularly. A good way to approach this is by thinking in terms of detox. Stay well hydrated – using filtered water if possible. Eat lots of fruit and vegetables – get 5 portions a day. Try and get into wholemeal products and away from white flour. Wash fruit and vegetables before using – this can reduce artificial chemicals and get rid of any bacteria which may be on them. Even if you buy organic, wash them to help Detox Liver. If you eat meat, cook it properly to kill any harmful bacteria that can affect Detox Liver. Do the exercise! You need to work those toxins out of your body as well as have them worked out for you. Once you have taken sufficient positive lifestyle and nutritional measures to ensure you Detox Liver, you can look at things like dietary supplements, including herbal and medicinal teas. Detox Liver with Vitamin C – this is in broccoli, oranges, lemons and many more. Detox Liver with Folic acid – found in asparagus, black beans, cereal, for example. Detox Liver with Carotenoids – they’re found in things like sweet potatoes, carrots, tomatoes and spinach. Amino acids, such as arginine, asparagine, aspartic acid, carnitine glutamine, glycine, taurine, cysteine… the list goes on. Remember, if you want to supplement, you shouldn’t just go piling as much of the above into you as possible. Think about what your diet does and doesn’t contain. Herbal and medicinal teas will assist with Detox Liver by maintaining hydration and contain ingredients which are extremely popular for liver health. Look out particularly for infusions containing mint leaves, dandelion, turmeric and yarrow. Finally, before we say farewell, just a quick word about Detox Liver programmes. 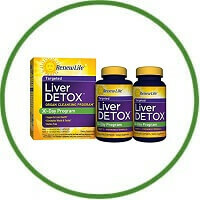 There are all sorts of methods and products suggested for things like ’30 day Detox Liver cleansing’. Now, while these may be beneficial in some ways (and almost certainly some aren’t helpful at all), the only known ways to Detox Liver confidently promote a healthy liver are through limiting toxin intake and maximising a healthy lifestyle through exercise and nutrition. If you do this over 30 days, great! If you then spend 30 days drinking too much, you may undo any good done over the first 30 days! The point is that maintaining a healthy liver is not achieved simply by ‘doing a Detox Liver once in a while.